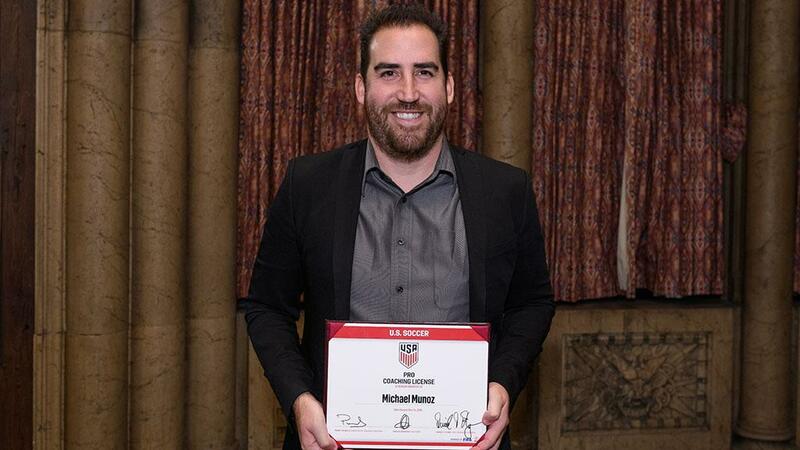 CHICAGO – The United States Soccer Federation announced on Monday that 12 coaches who work across Major League Soccer, the National Women’s Soccer League and the USL Championship had become the third class to complete the U.S. Soccer Pro License on Friday, Dec. 14, finishing a year-long journey that began in January. 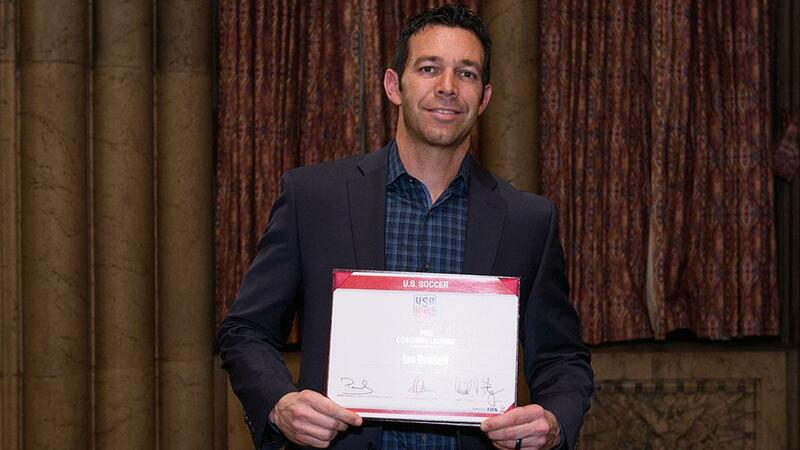 Four current USL Championship Head Coaches were among the graduates in this year’s class, with the Colorado Springs Switchbacks FC’s Steve Trittschuh, LA Galaxy II’s Mike Muñoz, Reno 1868 FC’s Ian Russell and Saint Louis FC’s Anthony Pulis all awarded the highest soccer license recognized in North America. 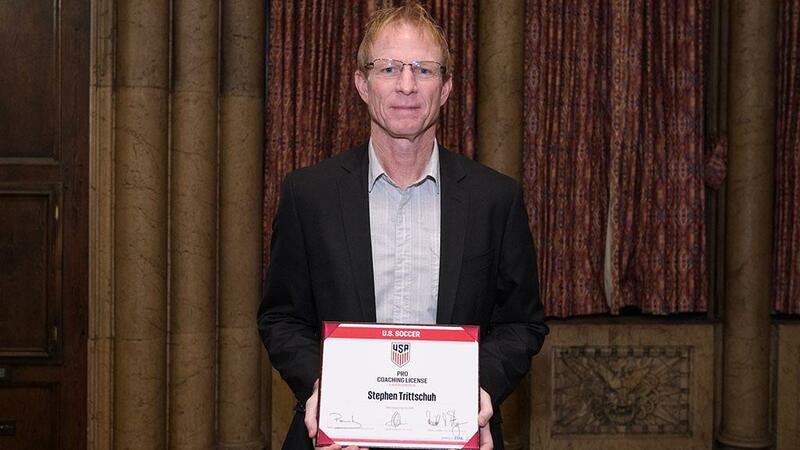 Colorado Springs Switchbacks FC’s Steve Trittschuh, LA Galaxy II’s Mike Muñoz, Reno 1868 FC’s Ian Russell and Saint Louis FC’s Anthony Pulis earned their U.S. Soccer Pro License and were honored in a ceremony on December 14 in Chicago. 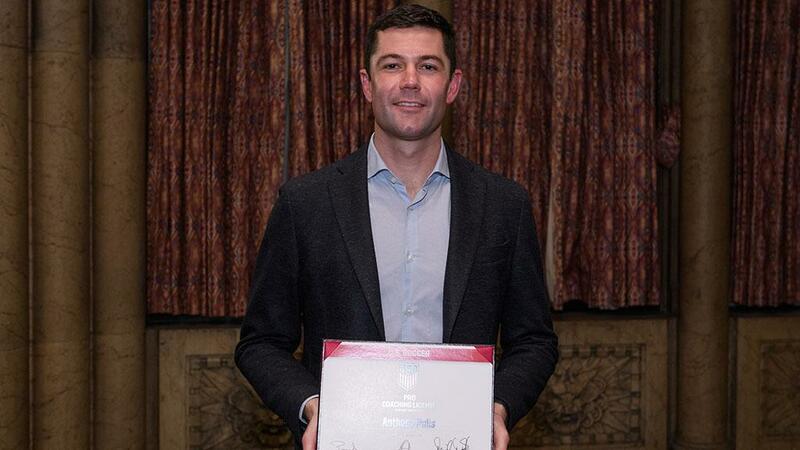 2018 marked the third edition of the USSF Pro License course, with previous graduates including San Antonio FC’s Darren Powell, OKC Energy FC’s Steve Cooke and Birmingham Legion FC President and General Manager Jay Heaps. Another member of the 2017 class was Daryl Shore, who will lead USL League One’s Forward Madison FC into its inaugural season this March. Among those joining Trittschuh, Muñoz, Russell and Pulis in the 2018 graduating class were former USL Championship Head Coaches Junior Gonzalez (Rio Grande Valley FC) and Ezra Hendrickson (Seattle Sounders FC 2), both of whom served as assistants on the LA Galaxy’s coaching staff this past season.